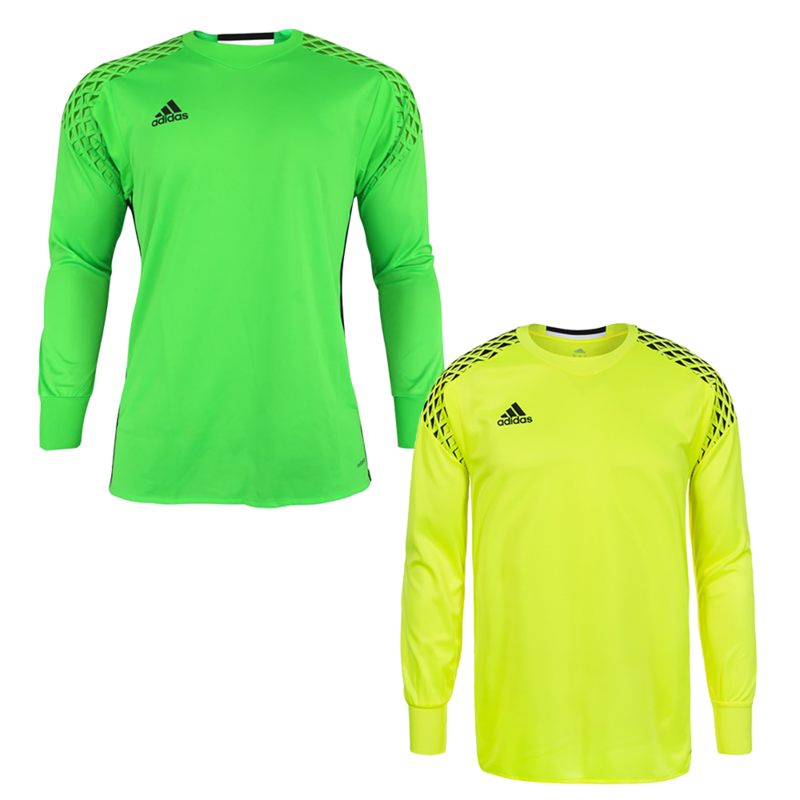 Stand out in the Adidas Onore youth goalkeeper jersey. 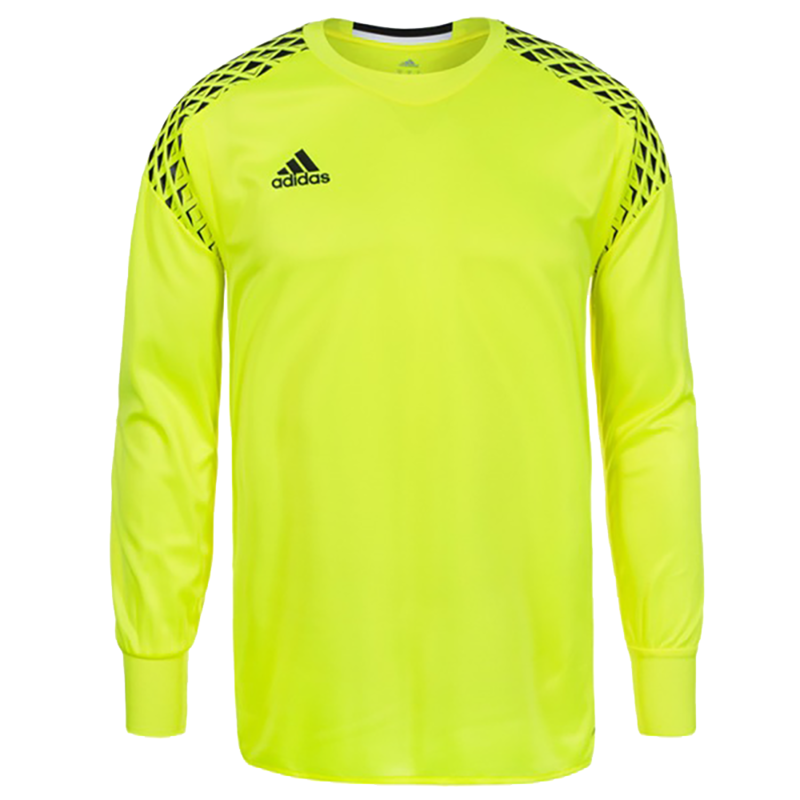 Only fluorescent yellow available now. Going fast and on sale. 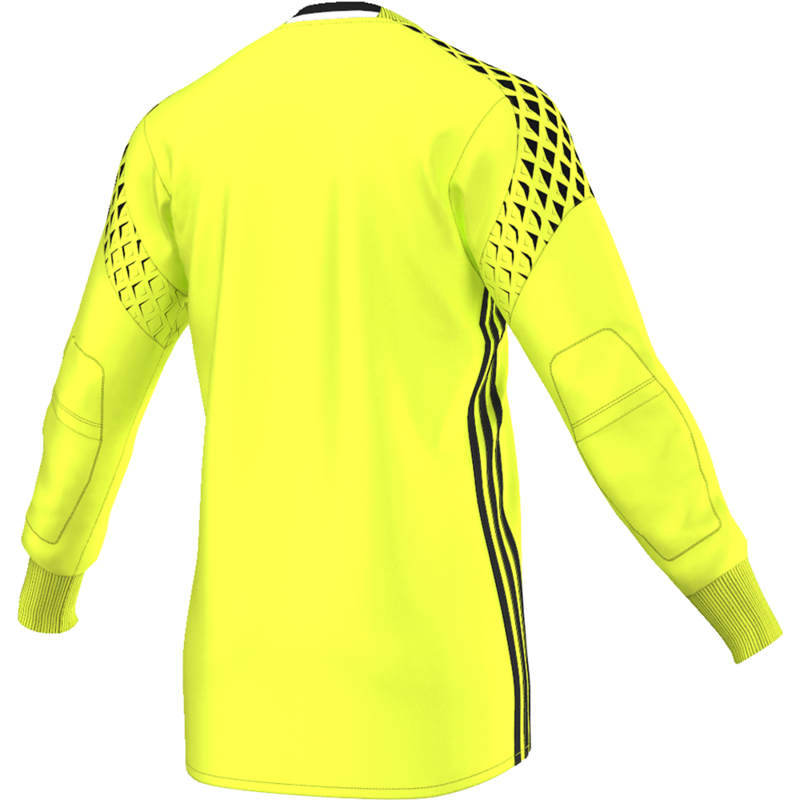 The jersey has padding on the elbows and forearms to help protect the arms when diving. very good quality. my son loves it. runs big - my tall, skinny 8 year old usually wears a YL in Adidas gear, but the L was way too big. reordered the YM and it fit perfect. excellent customer service. It fits my skinny kid so well! And it looks so good! He looked like a semi-private on the field, and he is only 9. He couldn't believe that those elbow pads actually work. Yet they do, they always do! Thank you so much for your recommendation! Love you guys! Great jersey! Unfortunately, it is too big for my son to wear right now. 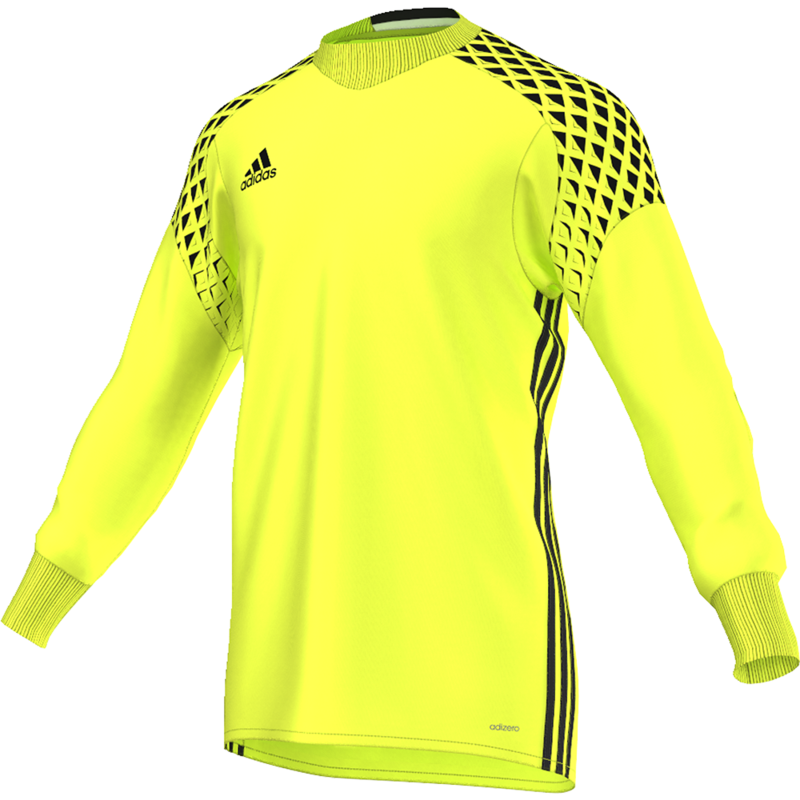 We will have it personalized and ready for next season. This jersey seems cut larger than we expected and since my son is also on the smaller side, it didn't fit well. We purchased the green jersey and he loves the color and looks forward to using it next year.